Children and their families travel up to ten hours to get to Qacha Chalu Water Point in central Ethiopia. After two years of erratic rainfall and drought in some countries, one of the most powerful El Niño weather events for 50 years is wreaking havoc on lives and livelihoods (photo credit: UNICEF Ethiopia/2016/Ayene). 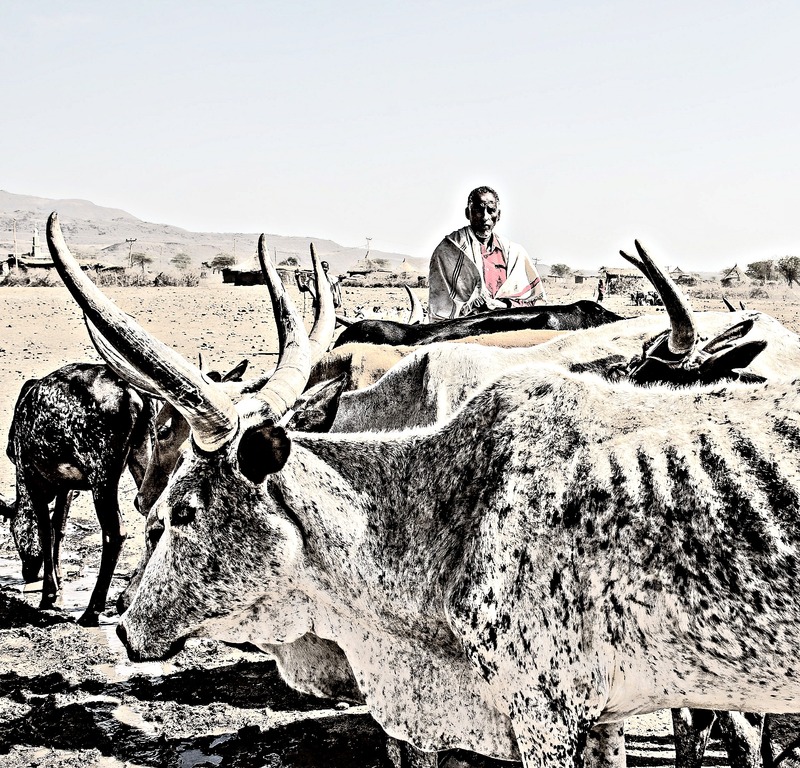 ‘With as little as one-quarter of expected rainfall received, widespread drought conditions in the Horn of Africa have intensified since the failure of the October–December rains, FAO said. Areas of greatest concern cover much of Somalia, northeast and coastal Kenya, southeast Ethiopia as well as the Afar region still to recover from El Niño induced drought of 2015/16, and South Sudan, which faces a serious food crisis due to protracted insecurity. ‘Currently, close to 12 million people across Somalia, Ethiopia and Kenya are in need of food assistance, as families face limited access to food and income, together with rising debt, low cereal and seed stocks, and low milk and meat production. A pre-famine alert has been issued for Somalia and an immediate and at scale humanitarian response is highly required. ‘Acute food shortages and malnutrition also remain a major concern in parts of Uganda‘s Karamoja region. ‘FAO warns that if response is not immediate and sufficient, the risks are massive and the costs high. ‘”The magnitude of the situation calls for scaled up action and coordination at national and regional levels. This is, above all, a livelihoods and humanitarian emergency – and the time to act is now”, said FAO Deputy Director-General, Climate and Natural Resources, Maria Helena Semedo. “We cannot wait for a disaster like the famine in 2011”. ‘Semedo was speaking on behalf of the FAO Director-General at a High-Level Panel on Humanitarian Situation in the Horn of Africa chaired by the United Nations Secretary-General, António Guterres, on the sidelines of the 28th AU Summit (Addis-Ababa).
. . . [W]ith the next rains at least eight weeks away and the next main harvest not until July, millions are at risk of food insecurity across the region”, Semedo said. . . .
Read the whole article from FAO: Millions of people face food shortages in the Horn of Africa, 29 Jan 2017.